A six-person fact-finding team, consisting of six senior activists and writers, has said in a report that most people they talked in Bisara village of Dadri in western Uttar Pradesh showed “no visible sense of remorse” over the lynching of Akhlaq Mohammad on the night to September 28. The team members visited and surveyed the village on October 3. “While they claimed it was an unfortunate event, in the same breath people pointed out that it had been turned into a big issue by the media that has brought shame and bad name to this supposedly 'peaceful' 800 years old village”, the report said. The team members consisted of Bonojit Hussain (New Socialist Initiative), Deepti Sharma (Saheli), Kiran Shaheen (writer and activist), Naveen Chander (New Socialist Initiative), Sanjay Kumar (People’s Alliance for Democracy) and Sanjeev Kumar (Delhi Solidarity Group). “Leave aside any lack of remorse, the major reason people were agitated is that the 'media has only been focusing on Akhlaq’s death and his family'. It is not even mentioning the concerns of the 'other side' (the Hindus), ie 'Hindu youth being picked up randomly by the police'.”, the report said. 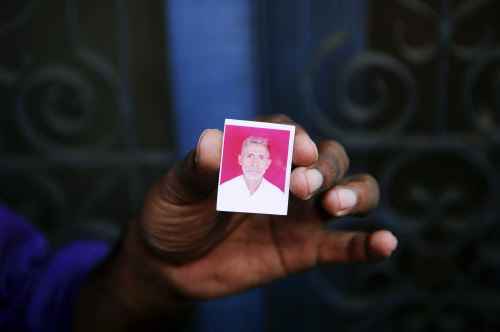 While Akhlaq was lynched, his son Danish is in hospital and is said to be critical. The team visited the village on the day when there were news reports that a thousand women had been mobilized to prevent the media from entering the village. The report further says, it is totally wrong to say the house was used for butchering a calf. “Houses are so cluttered and close to each other that it is impossible for Akhlaq to have butchered a calf in his house without the neighbours noticing it.” This is one reason why the “dominant narrative” has changed – from butchering the cow to beef found in his house”.